Under the article 102, a constitutional council can declare Bouteflika unfit for office or he can resign himself. Earlier Bouteflika named a caretaker cabinet, Reuters reported. Serving Prime Minister Noureddine Bedoui will head the administration, Reuters reported, citing local state-run news agency, listing 27 ministers. Central bank governor Mohamed Loukal was named as finance minister, while the former head of the state power and gas utility, Mohamed Arkab, will be energy minister. Sabri Boukadoum, a former envoy to the United Nations, becomes foreign minister and replaces Ramtane Lamamra, who spent less than a month in the role, Reuters reported. 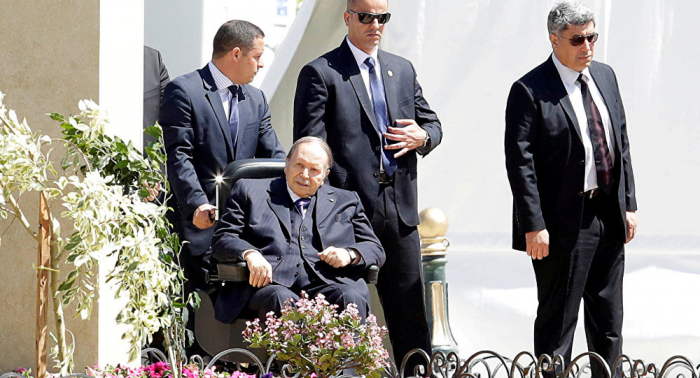 On Saturday Algeria's army chief of staff, Lieutenant General Ahmed Gaed Salah, renewed a call for the Constitutional Council to rule on whether the ailing 82-year-old Bouteflika was fit to rule, opening up the possibility of a managed exit. In February Bouteflika announced his bid to run in the April presidential election. Following his declaration, anti-government protests began throughout Algeria. Bouteflika has been in power for 20 years. Opponents of his nomination argued that due to his state of health, the president would be unable to effectively govern the country. After suffering a stroke in 2013 and becoming confined to a wheelchair, the president barely speaks and has made very few public appearances. On 11 March amid the protests, Bouteflika withdrew his bid for re-election and postponed the vote, initially scheduled for 18 April. However, protests have continued, with people demanding immediate changes. Now, a national conference, expected to take place soon, will decide on the election date, according to the country's leadership.